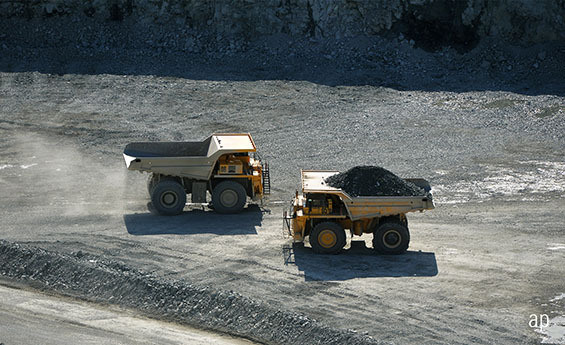 FTSE 100 miner Glencore (GLEN) ranks among the most diversified of the large global miners. But because China is the key demand driver for nearly everything Glencore digs out of the ground, diversification benefits are limited. Weaker Chinese GDP growth and the end of the investment-led economic model portend tepid demand and lower prices for most of Glencore’s industrial commodities. Glencore's oil and agriculture businesses are less China-centric but smaller. Glencore's marketing business, about a fourth of global pre-tax profits, should be relatively resilient as China slows. We are raising our fair value estimate on no-moat rated Glencore to 265p from 250p previously. The shares currently trade around 330p. Continued near-term strong demand for steel in China means we've extended the time we expect coking coal to decline to our long-term price for a year to 2022. We now expect the price to average $150 per tonne to 2021, versus $120 per tonne previously. Glencore also benefits from the 14% rise in the spot zinc price to $1.34 per pound and the 5% rise in the spot nickel price to $5.90 per pound. The 28% decline in the spot cobalt price to $14.30 per pound offsets some of these positives. The mining business generates roughly three fourths of group pre-tax profits. Glencore mines and produces a broad suite of commodities, but of the industrial's group pre-tax profits, approximately 30% comes from copper, 30% from coal and 20% from zinc. The remaining 20% of forecast pre-tax profits is from nickel and ferroalloys with oil a small contributor. China is the world's largest consumer of copper and coal and has accounted for nearly all global demand growth in the past decade. With weaker Chinese demand growth set to pressure copper and coal prices, profits will be far harder to come by than in the past. Production growth is unlikely to be an offset, given our expectation for weak demand. Glencore has been rightfully more reticent than peers when it comes to large, capital-intensive greenfield growth projects, but has been an active acquirer of assets. Glencore's marketing business is less sensitive than its mining business to the direction of commodity prices, as basic supply-chain activities and arbitrage opportunities account for a good deal of profits. That said, it's not immune from cyclical swings. Marketing profits fell sharply in the financial crisis as commodity demand dropped, prices plunged, and credit markets dried up. However, profits have subsequently recovered an in 2017 were at record levels, despite the sale of 50% of the firm's agricultural marketing business. The acquisition of Xstrata's mining operations added more nodes to the firm's trading network, affording greater opportunities to arbitrage price discrepancies stemming from time, geography, and product differences.